Gazoop is not a taxi service per say, but we work alongside thousands of them, and we certainly know how to provide excellent customer service. 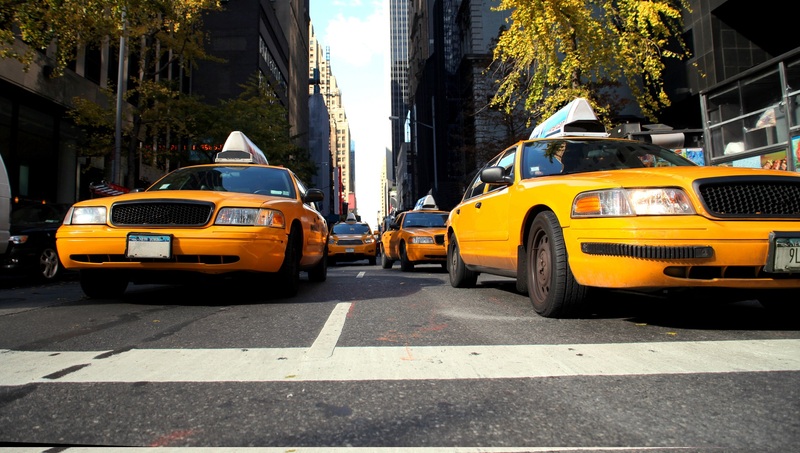 We’ve compiled 6 important customer service tips that taxi drivers can use to provide excellent customer service to passengers, each and every time. When you put these customer service tips in action, your passengers will never take the bus again! Taxi drivers should always greet the passenger as soon as they get in the cab. A warm and friendly welcome sets the tone of the trip and can make a huge difference when it’s time to tip. At the same time, some passengers like a quiet ride, so don’t be overly friendly (try to gauge your customer’s mood first). Learning how to provide excellent customer service is more than just getting passengers from point “A” to point “B”. You should help them with their luggage, shopping bags, and any other large items they might be carrying. At the end of each trip, check to see if they left anything behind (if you have enough time). Usually, taxi drivers who return lost items quickly earn a good reputation and acquire repeat business. On a similar note, creating a “Lost and Found” department at your company’s headquarters is an excellent idea as well. A driver’s focus should be on the passenger’s needs and making them feel comfortable. This means using appropriate language, keeping the conversation light, and never taking personal phone calls. In addition, keeping drinks and refreshments on hand are two great ways to keep your passengers happy and comfortable (remember, a simple candy bar and a bottle of water go a long way – it may be a small offering, but it’s the polite gesture that counts). You go to great lengths to keep your taxi clean from the inside out, but how about your appearances? Be sure to keep yourself well-groomed and presentable at all times. If you have a uniform, keep it as clean as possible so that you make the best first impression. A customer has a large number of cabs to choose from, and they got in yours - so at the end of the ride, be sure to thank them for picking your company. This customer service tip especially applies to large cities, where people can be overly-stressed and not thanked enough. Every customer is special, but some have their own special needs as well. If you want to go the extra mile, your taxi should be equipped with a wheelchair ramp, and you should offer discounts to elderly riders. Above all else, treat them as if they are anyone else - after all, in Gazoop’s eyes, all customers are created equal!